Motoring Africa is a forward-looking and actionable business book. 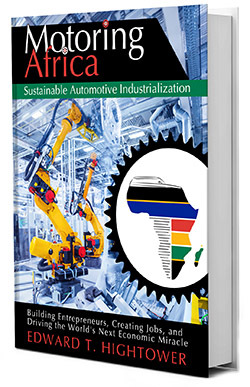 It makes the case and offers a roadmap for investing in and building manufacturing businesses on the African continent. Industrialization creates the conditions for efficient and profitable local manufacturing. Sustainable industrialization creates these conditions while maximizing the positive impact on the community and minimizing the negative impact on the environment. Sustainably industrializing automobile production has a job creation multiplier effect. To create an automobile, 30,000 complex parts must each be designed, engineered, and manufactured, in part by individual supplier companies. The result is new local opportunities for entrepreneurs, investors, and job seekers. Also, since Africa’s growing population and middle class will need more cars, either to own or use as part of shared mobility services, Motoring Africa recommends increasing the local manufacturing of cars and components instead of importing them. 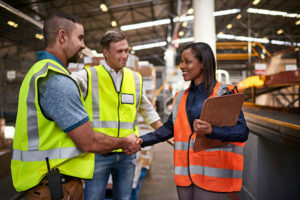 Skills learned in the local development and manufacture of automobiles can later be applied to the local development and manufacture of other, less complex, consumer and industrial products. The time for a book like Motoring Africa is now. Africa is growing. Many forecasters expect several African nations to comprise the world’s next economic miracle, similar to China or India of the last three decades. 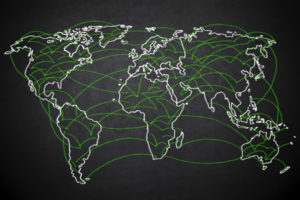 The continent’s approximately one billion population is expected to double by the year 2050. By the year 2034, the continent is expected to have a working age population greater than that of India or China. This growing population and growing middle class will need jobs and transportation. Motoring Africa’s main argument is that advancing value-added manufacturing of complex products, like automobiles, on the African continent can be a sound investment and financially sustainable way to create large numbers of local job opportunities at all skill levels. Motoring Africa is not just the title of this book, it is a movement. 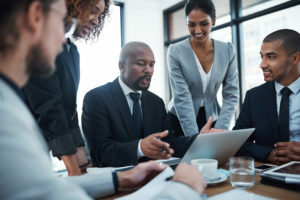 Throughout my career as an engineering and business leader in the global automotive industry, I have helped automakers succeed in China, India, South Korea, Brazil, and Mexico. I have personally seen how automotive industrialization has helped transform the economies and living standards in these markets. It is my plan to help manufacturers, investors, and local economies also succeed at automotive industrialization in Africa; and do so sustainably. I am looking for great partners to join me on this journey.